CBD as a Treatment for Arthritis: What Does the Science Say? When you hear the word ‘arthritis’, what image comes to mind? Is it an image of your grandma, who, perhaps, can no longer knit? Or a great-uncle that had to go into care because he could no longer tie his own shoes, or button up his favorite golf shirt? You may have heard about CBD for arthritis, but you’re not entirely sure if it’s the right way forward for you or your relatives and friends. Well, after reading this informative guide about everything CBD as a joint pain treatment, you’ll feel a lot more confident on whether to pursue CBD for arthritis. But first, here’s some interesting facts about the condition. The condition of aching or stiff joints and bones is the number 1 disability in the United States, affecting around 91 million Americans as of 2017. What’s more, there are over 100 different types of arthritis that render sufferers unable to lead normal lives, which includes 300,000 children. Simply, if you, your friends or family suffer from joint pain or joint disease, it’s not an isolated incident, not one bit. So, returning to our original line of questioning, what do you think when you hear of CBD as a treatment for arthritis? Cannabidiol (CBD) continues to grow in popularity in treating a wide variety of pain, anxiety and depression symptoms, to be brief, since it’s the non-psychoactive molecule in marijuana plants. That said, and like its sister cannabinoid THC/tetrahydrocannabinol (the psychoactive compound in cannabis), they both act on the brain’s neurotransmitters. These little receptors act almost like a root system for our endocannabinoid system by reabsorbing compounds and elements like serotonin and dopamine. CBD will inhibit such absorption by this stem-like system by attaching to CB2 receptors that would normally alert the immune system to pain. By attaching to this particular ‘root’, the body, by way of the brain, will stop sending signals to knees and knuckles, which means less inflammation and less pain experienced. Of course, we wouldn’t want you to take all of this on good authority without performing your own due diligence, but here are just a few thought-provoking studies that every potential CBD for arthritis practitioner should know about. This 2016 study showed that CBD attenuates inflammation and pain without any side-effects when used in a topical form. That means no impact on the gastrointestinal system, lungs, or liver. This 2006 study is also heartening – it showed, in human trials no less, the efficacy for cannabis-based medicine in combating pain caused by rheumatoid arthritis. While clinical trials may be a way off, patients that did not receive the placebo were able to sleep more, rest without pain and have no pain when moving. Think about that. Being able to live a normal life means hobbies for kids, a reduction in the rate of depression, and, consequently, fewer suicides. 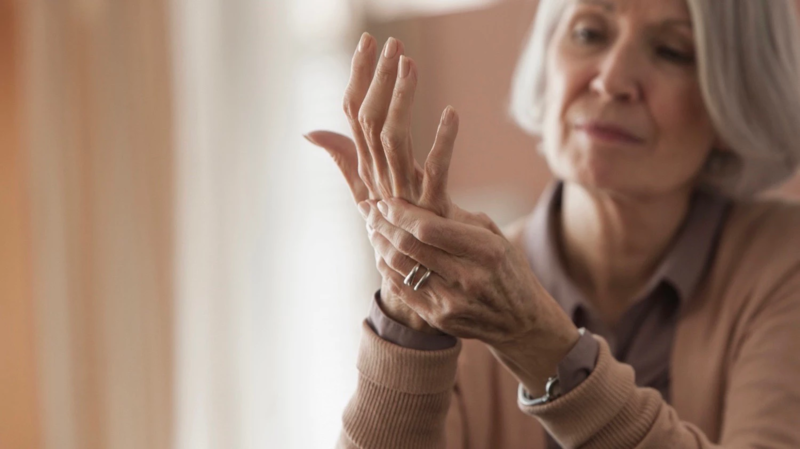 When looked at through the lens of osteoarthritis, this 2017 study showed that not only did CBD prevent the later development of pain and nerve damage in affected joints, but also helped slow acute, transient joint inflammation. Now, if all of this sounds like something you might be willing to try should you or someone you know be a long-time sufferer of joint pain from a pre-existing sports injury or the like, take a few moments and review our top-five tips on how you can maximize your pain relief in a safe and effective manner with CBD. As alluded to in the previous discourse, there are a number of trials that suggest topicals may be the way to go for reducing inflammation while others recommend holding out for injection therapy following clinical trials. In the meantime, however, it might be worth exploring how your body responds best to CBD by trying different delivery methods such as vaping, smoking or an oil tincture, where each can have the added benefit of introducing some THC for those willing to take a more holistic approach to their pain relief. Hence, Full Spectrum CBD. Topicals and salves may require some experimentation – controlled, at home, not at the office, or when operating a vehicle – of course. Timing is as important as the dosage. When it comes to the latter, edibles are especially tricky as they take much longer to traverse the digestive system and deliver pain relief. It means that you or your loved one might try to expedite their pain reduction protocol and overdose, which could result in a whole other world of hurt. As a user, you should work with your general practitioner, and perhaps budtender, so that you can get a product that suits your historic use patterns, weight, water consumption habits and the like. Do note, however, that edibles will have a more enduring and longer effect should you suffer from debilitating pain for hours at a time. As mentioned above, smoking or vaping may mean the introduction of THC alongside CBD should pain relief not be acute and, therefore, more chronic (no pun intended) and predictable. Before trying out this ‘entourage’ method, however, first try a CBD-only product in the amount of five to 10mg twice daily to get a baseline of your body’s receptiveness to this new method of treatment. Additionally, and as a word of warning since researchers remain torn on this topic, be cautious in using THC and CBD for pain relief on those 25 years of age or younger as brain neuroplasticity could be jeopardized and, sadly, result in depression or suicide, in extreme cases. Try to avoid mixing too many over-the-counter drugs with your new CBD protocol as there could be adverse side-effects that leave you feeling more pain. Especially with edibles, certain prescription drugs also traverse the digestive tract as well as the liver and could leave one feeling not only ill, but with long-term liver issues. Some of these medications include Prilosec, Valium, Motrin (! ), Xanax, and, yes, even Allegra. That said, work with your general practitioner if you are ‘on’ of these regiments to see how best to use CBD for arthritis with other medications. Ultimately, CBD oil, salves, and topicals are not FDA approved or regulated. This means that you have to perform your own legwork in finding a reputable shop that works with a practice that believes in the healing power of this mighty plant. It’s also important to consider getting the biggest bang for your buck and, therefore, reading labels to ensure you’re getting the actual amount of THC or CBD advertised. Additional considerations on this point might also be avoiding vaping or smoking, which have low levels of bioavailability, in favor of slower-acting, but longer-lasting, edibles and tinctures. Even though we already shared some troubling stats with when it comes to arthritis, it’s important to restate, as of 2018, this disease was already the number one cause of disability in the United States. And without an effective means to combat pain (without turning to opioids and the risk of addiction or still worse outcomes), CBD could be just the solution you or your family and friends have been longing to find. 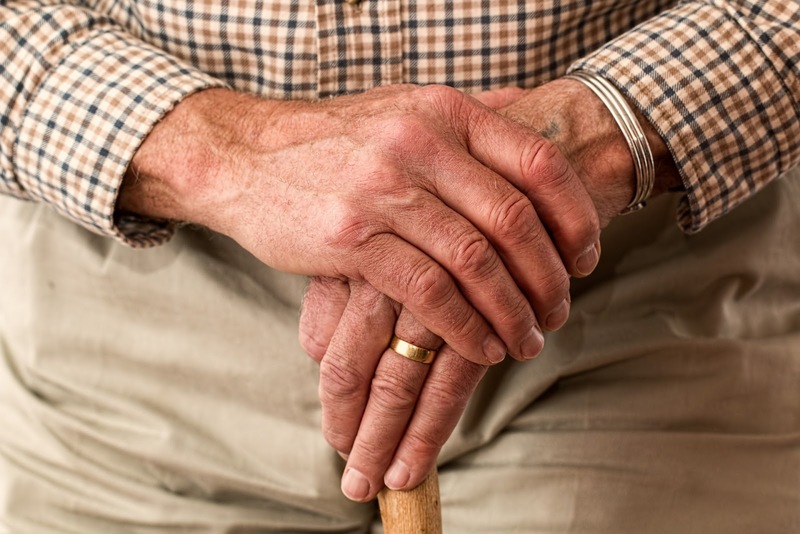 Of course, CBD for arthritis has the potential to help more than just the older demographic, but it should also not be viewed as a panacea for all. Still, the studies are promising and, at the very least, worth monitoring if they result in FDA-approved medications toward long-term pain relief. This entry was posted in CBD Information, Science and tagged arthritis, cbd.